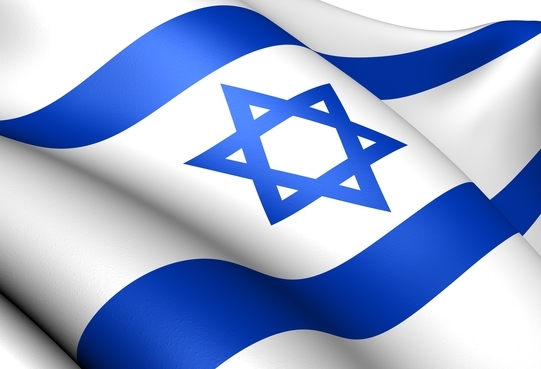 Israel’s declaration of independence took place at Independence Hall in Tel Aviv. It has been restored into a museum, and the most surprising thing for me, when I visited it, was how small it is. but in fact it is quite small, fitting at most a couple of hundred very crowded people. Still, it’s very thrilling to visit the exact spot where the State of Israel was born on a sunny Friday afternoon, and the course of history was changed forever. The declaration itself is a great document to read. 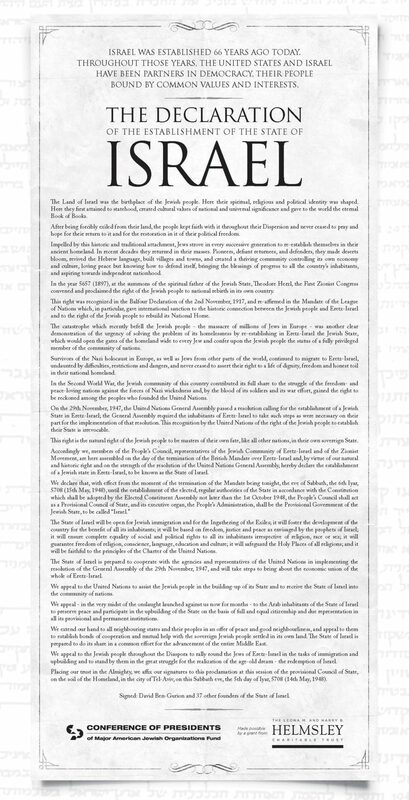 This year, the Conference of Presidents of Major Jewish Organizations has placed full-page ads of the declaration in a number of leading newspapers in order to encourage Americans to read the text, and see for themselves how similar the foundational principles of Israel are to those of America. I hope you take a few minutes to read the whole thing before we analyze it together. It’s well worth the time. You can also find a text version here. This last part about the Mandate of the League of Nations is often played down, but it is, in fact, the legal foundation of the State of Israel. Ben Gurion is referring here to the San Remo Conference which took place after the end of World War I, on April 19, 1920. Here is an important paper by legal scholar Howard Grief explaining it. 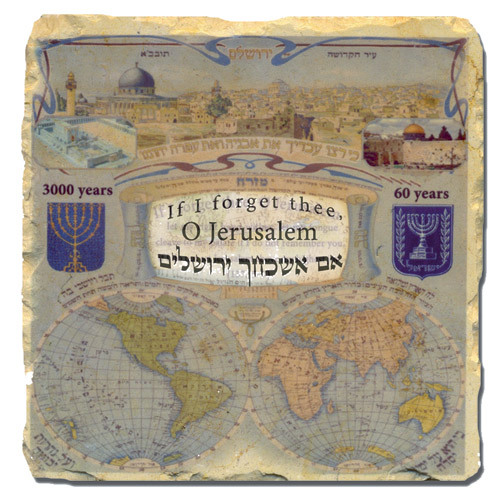 The League of Nations issued the Mandate for Palestine, which was granted to the British government for the sole purpose of establishing a Jewish homeland in the Land of Israel. The fact that the Balfour Declaration was included in the Mandate document is what turned that declaration from a mere letter into binding international law. “In the Second World War, the Jewish community of this country contributed its full share to the struggle of the freedom- and peace-loving nations against the forces of Nazi wickedness and, by the blood of its soldiers and its war effort, gained the right to be reckoned among the peoples who founded the United Nations. 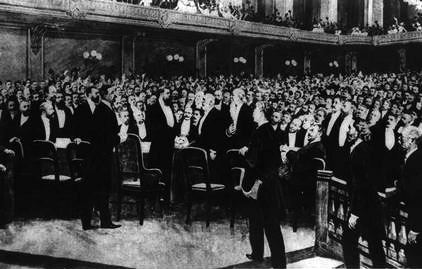 “Accordingly we, members of the People’s Council, representatives of the Jewish Community of Eretz-Israel and of the Zionist Movement, are here assembled on the day of the termination of the British Mandate over Eretz-Israel and, by virtue of our natural and historic right and on the strength of the resolution of the United Nations General Assembly, hereby declare the establishment of a Jewish state in Eretz-Israel, to be known as the State of Israel. 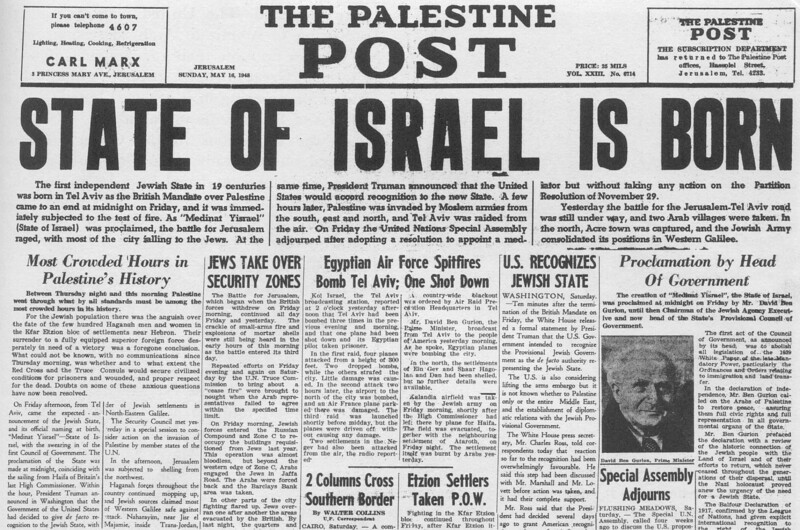 The following key statement is the official acceptance of Israel of the 1947 UN Partition Plan which partitions the land into a Jewish State and an Arab State. So, Israel’s agreement to a two-state solution was built right into the declaration! However, the Arabs rejected the Partition Plan both verbally, and by their deeds: the next morning 5 Arab armies invaded the land of Israel, thereby setting in motion the War of Independence. “We appeal to the United Nations to assist the Jewish people in the building-up of its State and to receive the State of Israel into the community of nations.